Some interesting facts about the Moon: it’s 238,857 miles from Earth, the Moon orbits Earth every 27.3 days and the Moon’s name is Luna and she likes to share interesting facts about where you are on Earth. Let’s Go Luna! is a new animated social studies series that premieres at 8 a.m., Wed., Nov. 21 on OETA KIDS. Let’s Go Luna! 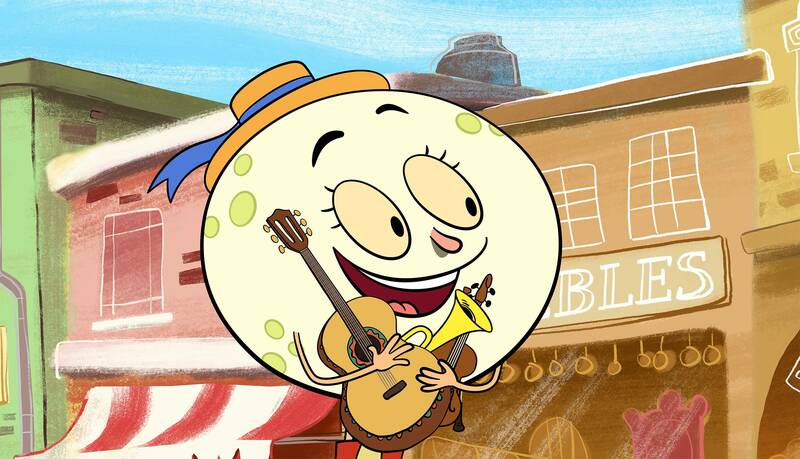 follows the adventures of three friends – Leo, a wombat from Australia; Carmen, a butterfly from Mexico and Andy, a frog from the U.S. – as they traverse the globe with their parents’ traveling performance troupe, “Circo Fabuloso.” At each of the “Circo’s” stops, Luna the Moon, voiced by Judy Greer (Ant-Man, Jurassic World and Tomorrowland), guides the trio as they get to know the local region and its people. The gang’s adventures take them through cities around the globe – from London to Cairo to Beijing – where they explore the food, music, art, architecture and other features that make each place distinctive. Episodes end with the kids back at the “Circo Fabuloso” and Luna back in the sky, with a reminder that there’s always more to see, learn and experience in every place they visit. A variety of games, clips and even full episodes of Let’s Go Luna! are available at pbskids.org and, on the PBS KIDS Games App and PBS KIDS Video App. There will also be a standalone Let’s Go Luna! app launching in 2019. Parent resources are available on the PBS Parents site and PBS LearningMedia offers classroom-ready materials for teachers including video excerpts, games, tips and printable activities.